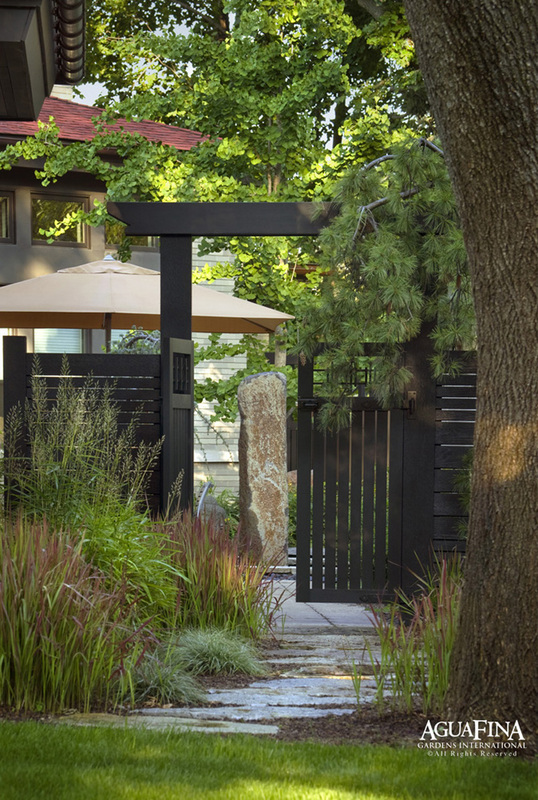 At the heart of this unique home is an intimate central courtyard garden with subtle Asian influenced design details and contemporary styling. 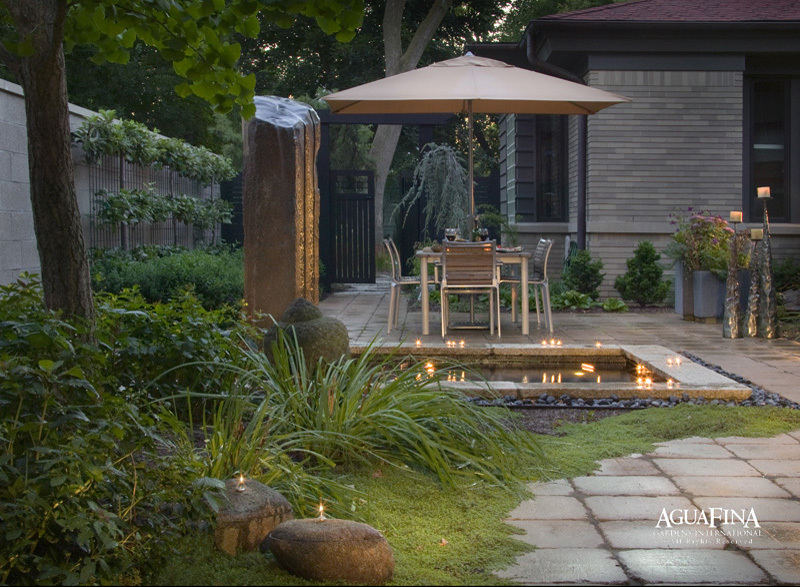 Accented with authentic sculptures, seating areas and planters, this setting for intimate gatherings keeps in scale and theme with the overall architecture and interior design style of the home. 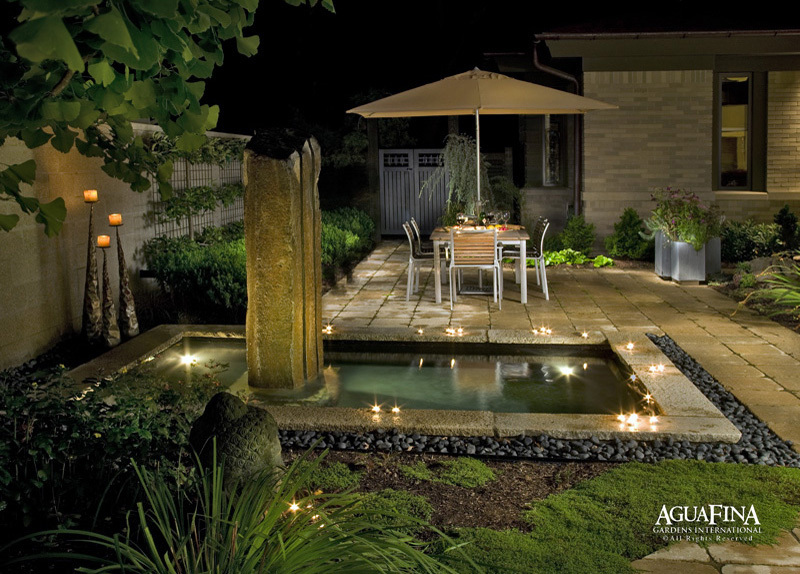 At the center of the courtyard patio is a tranquil reflecting pool and fusion style water sculpture. Carved and worked by hand from natural basalt, the fountain is hewn out of one piece of stone into three separate sections. While the insides of each stone have been highly polished to a mirror jet black finish, the outer portions of the stone remain natural. 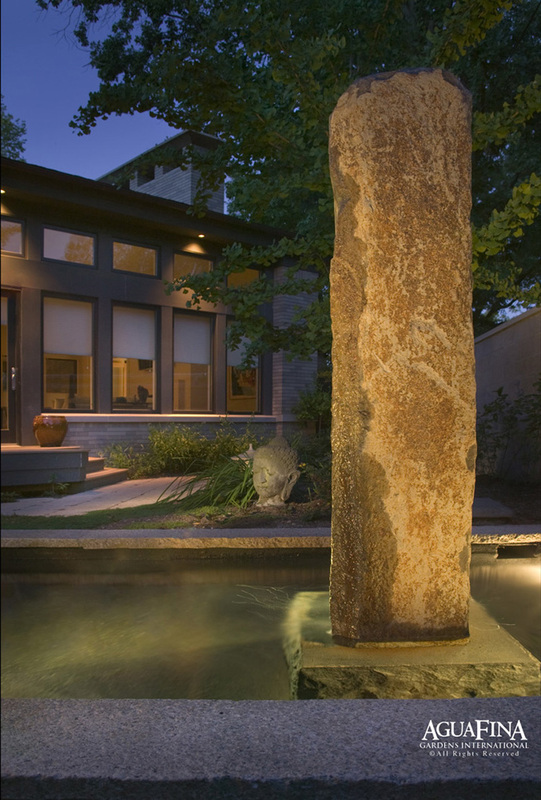 The pool coping is made from centuries old reclaimed antique Chinese pavers and accenting the feature is black river stone from Indonesia. 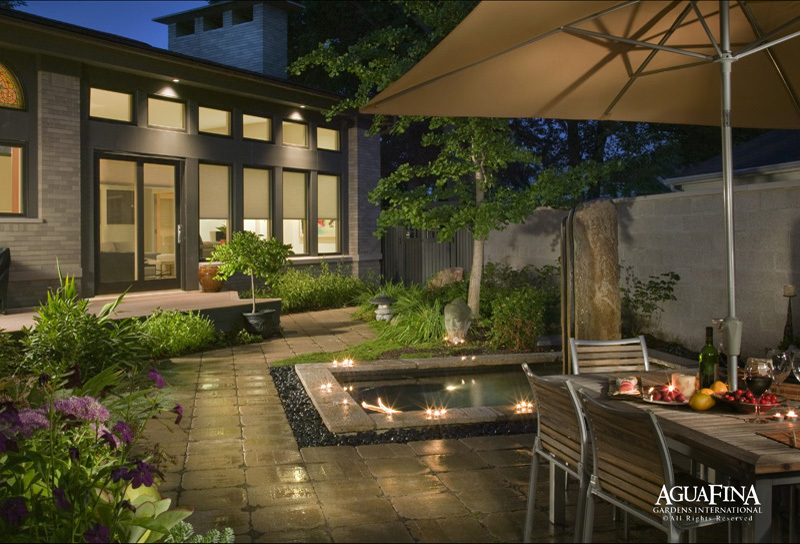 The main surface area of the patio is comprised of oversized tumbled pavers set in a simple block formation and were also used in the front entrance. Overlooking the tumbled stone patio are decks off both the master bedroom and living room built from eco-friendly lumber alternatives. Plantings include espalier apple trees, specimen conifers, perennials and a large Ginkgo tree which was transplanted and brought from the owners’ previous home. 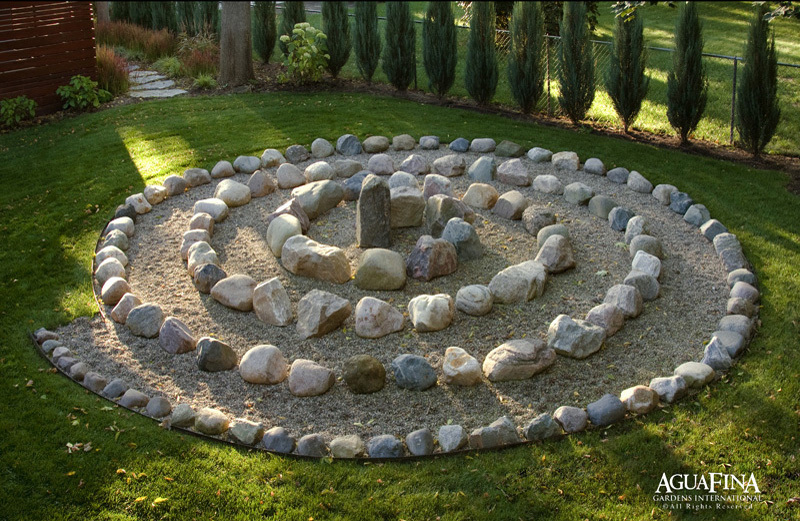 The courtyard transitions to a lawn area and includes an interpretative labyrinth pathway built from stones found during construction on the site with the stones carefully placed in ascending order of size. 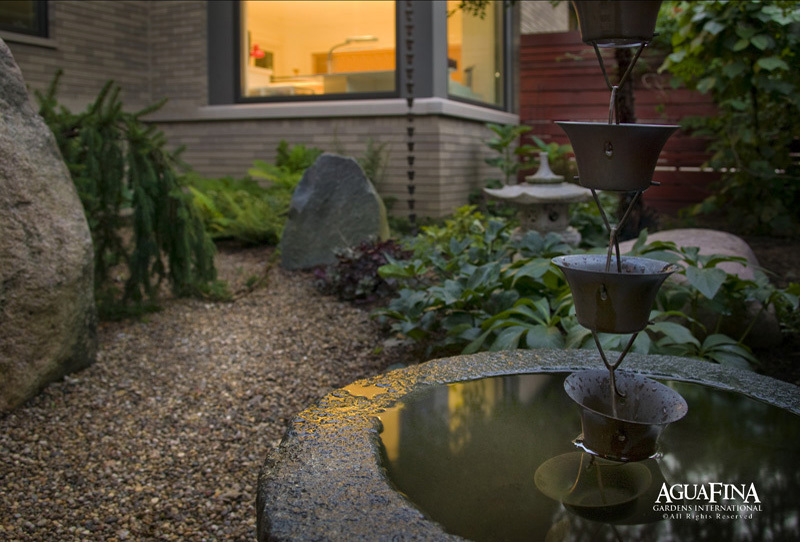 A secondary hidden courtyard garden is nestled outside of the artist studio and includes a rain chain with an antique stone water basin. Concealed underneath the rain basin is the drainage system for this area. 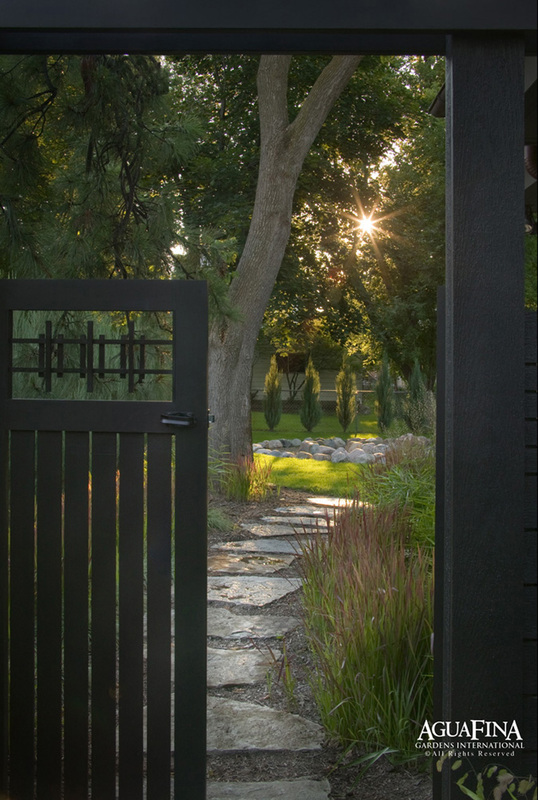 The artists’ courtyard is protected by custom built fencing that is used in other parts of the garden as well.